Disney released the poster for their live-action Aladdin movie teasing a first look trailer will be release tomorrow. Update: Watch the teaser trailer here. Will Smith, who voices the Genie, posted the poster with, "LEMME OUT!! :-) Can’t wait for y’all to see Me BLUE!" "Choose wisely," the poster also teases. The live-action Aladdin is based on the 1992 animated movie featuring Robin Williams as the voice of Genie. 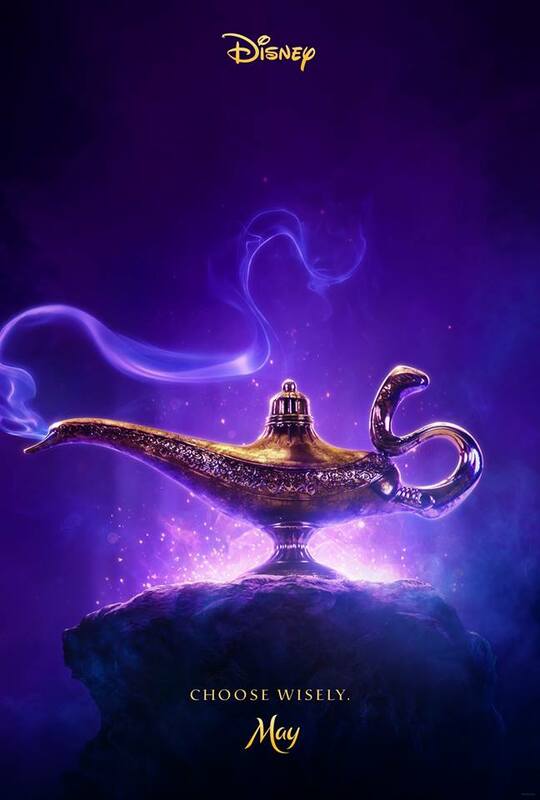 Aladdin has a May 24, 2019 release directed by Guy Ritchie also starring Mena Massoud as Aladdin, Naomi Scott as Jasmine, Billy Magnussen as Prince Anders, Nasim Pedrad as Dalia, Marwan Kenzari as Jafar and Numan Acar as Hakim, with Navid Negahban as the Sultan.